If you are looking for the best keyboard Apps for Android, then you have come to the right place. Out of the so many good things about Android, one is that you can change how everything looks inside the UI for your Android smartphone. Apart from tweaking the performance, you can also personalize the graphics of your Android smartphone. There are thousands of applications available in the Play Store which help you to get rid of the boring functions, elements, and graphics and replace them with something that is highly likable. One such process is changing the keyboard of your Android device with a custom keyboard. Manufacturers install their exclusive UI on the smartphones that they release, and that exclusive UI has a particular keyboard which is not always liked by the users. For instance, users do not always like the stock keyboard installed inside their Samsung Galaxy or HTC smartphone, they try to look for a decent and reliable replacement. Taking the advantage of this need of users, many developers have pushed various keyboard applications in the Play Store. You can pick any and start using it on your Android device. While there is a huge number of keyboard apps in the Android market, it can really confuse you which application to go with. You might need a shortlist of the keyboard apps to help yourself choose the best one without wasting a few precious minutes. We at Techbeasts have given a try to several keyboard applications. After giving a try to a bunch of keyboard applications and also doing some research work, we were able to compile a list of top 5 keyboard Apps for Android. The apps are listed below, have a look and pick the one that meets your needs. Undoubtedly the best keyboard application for Android. Swiftkey used to be a paid application and even then it had thousands of users. 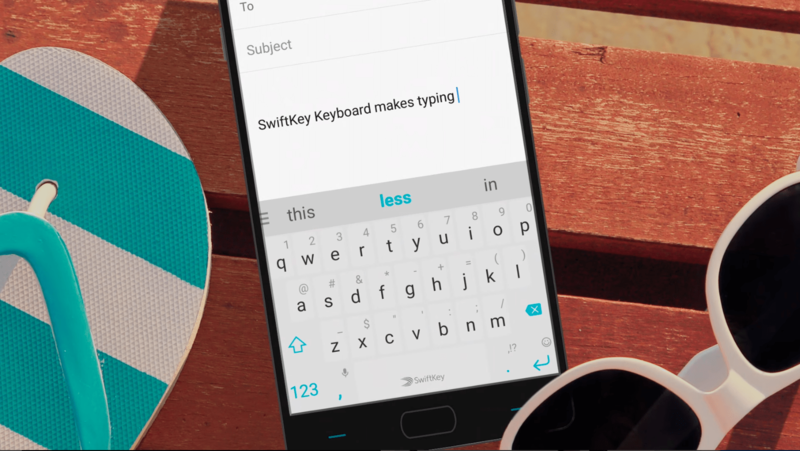 Considering the growing demand and popularity of Swiftkey, its developers set it free. Swiftkey was made free back in the year 2014. The application now has over 250 million users all around the world now. 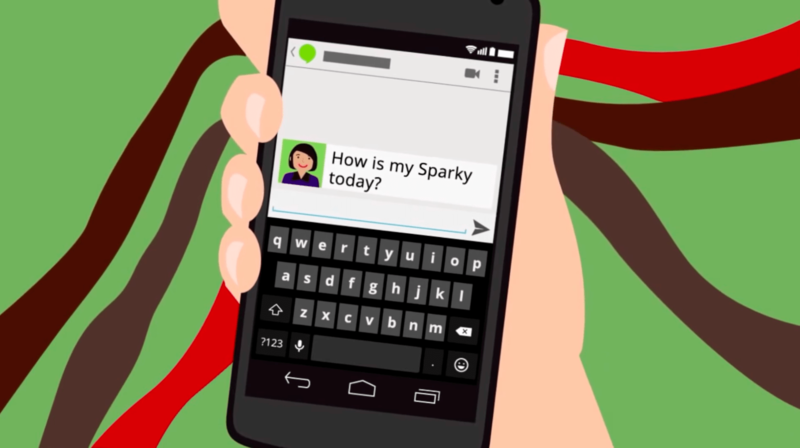 Swiftkey has remained an inbuilt application for several smartphones in the past. Swiftkey offers a plethora of themes to match the aesthetics of your phone. The prediction engine of this application is pretty smooth, it handles your typos properly and replaces them with the suitable words without any hiccups here and there. It won’t be an injustice with this app to say that it has remained the biggest rival of stock keyboards of companies like Google, Samsung, and others. Download Swiftkey from Google Play Store. The simplest and the easiest to use keyboard application that you may come across is the Google keyboard. Google’s keyboard is also available as a standalone application in the Google Play Store and you can install it on any compatible Android handheld. Google keyboard carries features like one-handed mode on large screens, different themes, gesture typing, cool emojis etc. It also comes with text-to-speech functionality. Google keyboard has also successfully replaced the stock keyboards of many Android devices. And yes, Google keyboard is also an absolutely free application. Get the Google Keyboard from Google Play Store. Swype also happens to be one of the most popular keyboard apps. Just as the name suggests, it lets the users type in a word or whole sentence by simply swiping fingers on the screen. Swype allows typing in two different languages at the same time. It is also a user-friendly keyboard for a visually-impaired person as they can easily learn to type by simply touching the screen. Swype has a free trial version and a paid version as well. The free version works cool but only for 30 days. The paid version definitely has its pros and you can figure out after using the trial version if this application is worth investing a dollar or not. Pick up the one that is convenient for you. Download Swype Keyboard from here right now. TouchPal is one of the oldest aftermarket keyboard available in the Android app store. The TouchPal is highly customizable, you can apply the colors, wallpapers, and layouts according to your liking. It also has its unique set of emojis to add some charm to the text you’re going to type with this keyboard. Although no one would like to hit their face type, TouchPal allows the users to set their own photo as the keyboard theme. You can slide through the keys or type normally. It inserts a pair automatically for symbols like (), “,  etc. TouchPal is also free to install and use. Grab it from the Google Play Store to start using it. Fleksy is among the popular keyboard apps as well. It is better known for the cool themes that it offers and also some exciting features like GIFs integrated into it. Fleksy offers multiple layouts. You can choose the one that fits your typing style. Fleksy has a reward system that urges the users to master this keyboard and learn more and more about it. You can easily grab the Fleksy Keyboard from the Play Store. That’s all. Let us know which Android Keyboard application is your favorite. Your suggestions are always welcome!